This distinctly feline snout of Monument M transforms into a somewhat crocodilian head, which is sadly hard to tell due to the foreshortening caused by this angle. The eyes do still give the impression there is more than one animal reference here, and from the side you can see that the large round discs are actually eyelids which are 3/4 drawn over sleepy reptilian eyes. 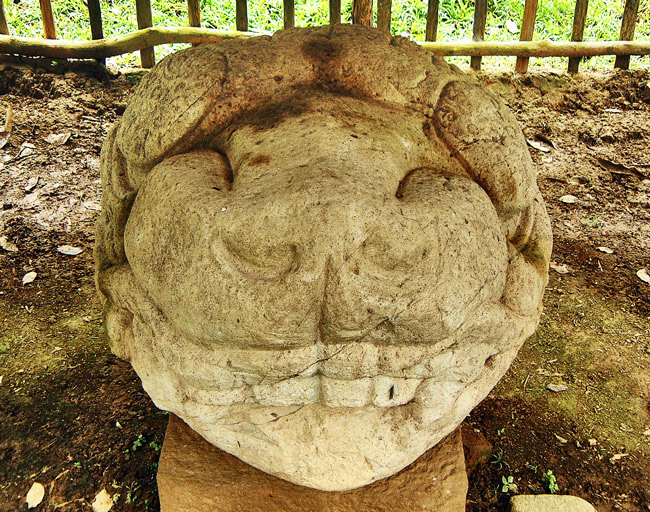 Monument M marked the end of the hiatus and the beginning of a battle with Copán (read more…).